In this series, we’ve done a review of mathematical notation, with an eye on how each notation helps or hinders student learning. The focus here is modest: on what teachers can do, even if their textbook sticks to the standard notation, to help disambiguate the standard notation for students. In the last several posts, we’ve been looking at notations for expressions. The subject of functions in K-12 is typically only broached very tentatively, gingerly. 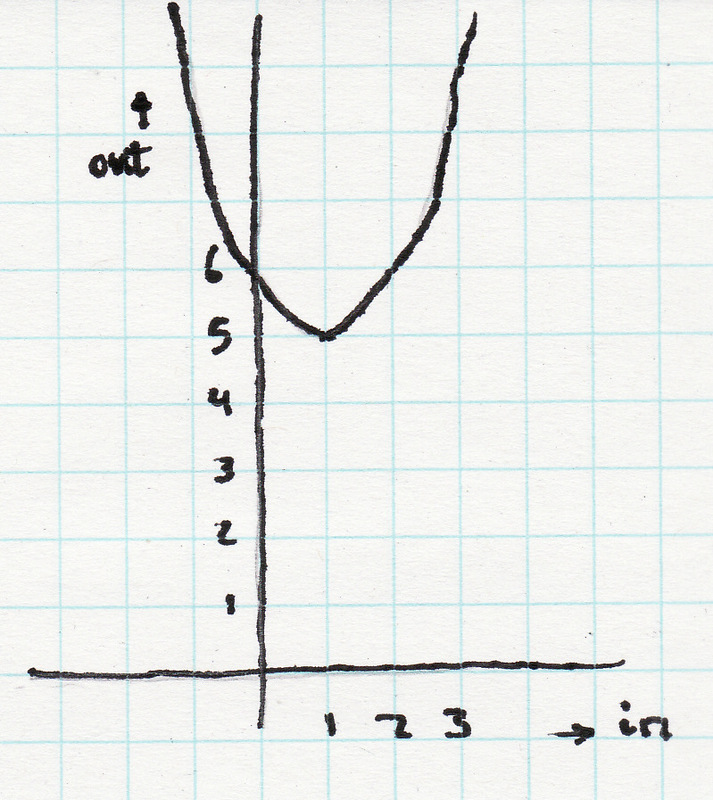 Usually, kids learn to associate functions with graphs. Typically, there may be a situation, which relates two quantities. 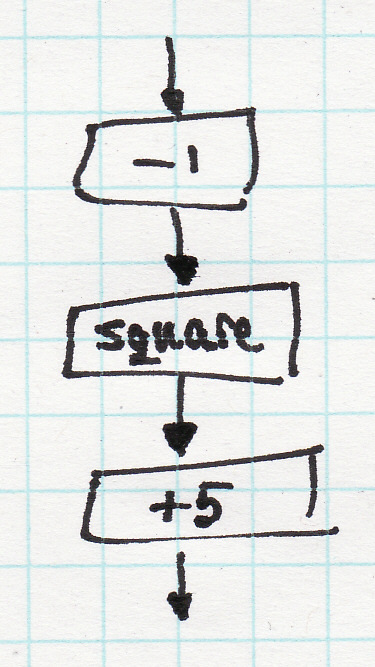 For example, a square has a certain side length and a certain perimeter. 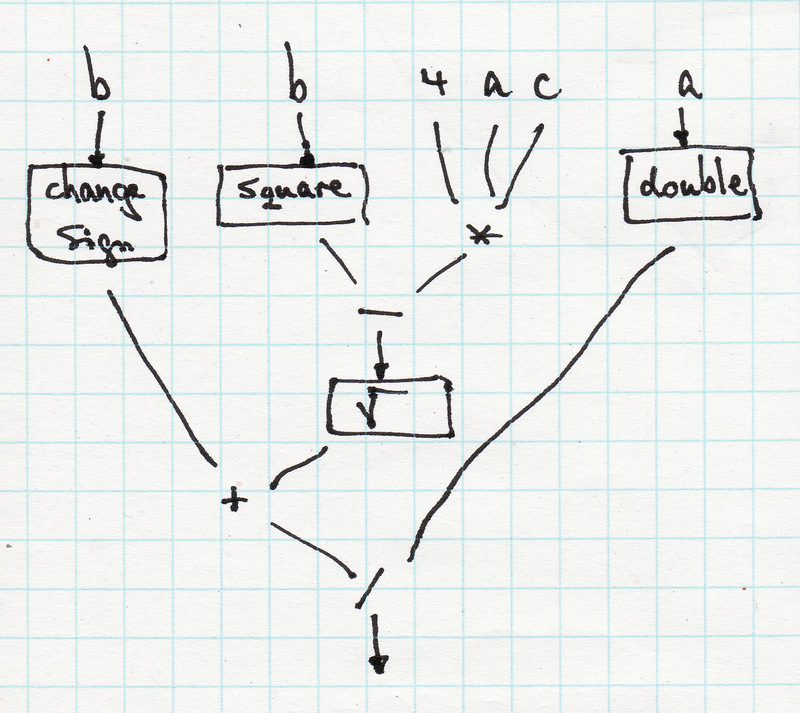 As the side length changes, the perimeter of the square changes also. 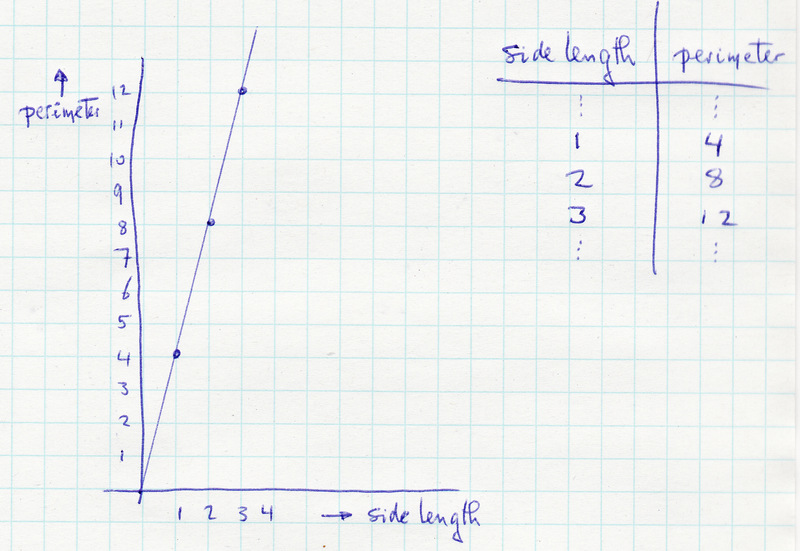 The perimeter and the side length are related. This relationship can be shown in a table, shown in a graph, and shown in an equation. When the side length is 3 units, the perimeter is 12 units. This is seen in the table as the row 3 | 12, and it is seen in the graph as the point (3, 12). Yet when the question is asked “what is the notation for a function” in middle school, that question seems strange. When later in middle school or high school kids learn the notation , that notation seems to have exactly zero relevance. Students don’t typically get why saying is in any way better than saying . And no wonder. They are told that the stands for function, and it may take years before they ever see others like or . What functions are not, for these students, are objects that can be held up to the light and examined, and compared to other functions or combined with other functions. And truly, if all you ever do with is write instead of then there is no point. Even if students later encounter , it doesn’t seem to relate in any way with the function notation they’ve seen in . We imagine that whenever something (usually a number) is put on the input, something is produced on the output (also usually a number). It is important that the output can only depend on the input, and on nothing else. Another way of saying this is that they are state-less: there is no internal state in the box, no memory of what went before, nothing that changes permanently based on what came before. If we only had a single kind of function box (even if we have a thousand copies of it), the box doesn’t need any particular kind of label. Even a stupid label like would do fine. But if function boxes come in all different kinds, we need good labels to keep things straight. If we know what a particular box does, we should find a way to say so on the label; and if we don’t know (or care) what is in a particular function box, the label should say so as well. In the next post we’ll explore more about composition of functions, how it is useful and powerful, and how notation can help highlight this. This entry was posted in Uncategorized and tagged education, math class, naming, notation, recurrence relationship, representations. Bookmark the permalink.